The UK’s National Crime Agency is claiming a new threat information sharing initiative has already helped web hosters reduce the threat to their servers by 12%, potentially saving them millions. The NCA said last week that it shared details related to over 30,000 separate threats with internet hosting companies as part of a joint program with CERT-UK. Around 50 organizations took part over a near three-month-long program, using info on malware infections, phishing attacks, DDoS and command and control (C&C) systems to help take remedial action. Specially trained officers from police Regional Organised Crime Units (ROCUs) are now being sent out to support those organizations that benefited from the threat intelligence. “Working with industry to jointly combat cybercrime is a priority for the NCA, and sharing timely, customized intelligence with hosting companies can contribute to the protection of the UK internet infrastructure,” said NCA industry partnerships boss Paul Hoare. The threat alerts are also available to firms who sign up to the government’s Cyber-security Information Sharing Partnership (CISP) initiative, designed to improve situational awareness for members by facilitating the sharing of threat and vulnerability information. Governments and their law enforcement and intelligence agencies are increasingly being put under pressure to share the wealth of threat information they collect with the private sector, in order to bolster the resilience and economic well-being of UK PLC. BH Consulting founder and Europol advisory group member, Brian Honan, welcomed the news. "Many though have criticized these initiatives as being primarily one way, whereby information from the private sector is going into the public sector but very little is coming back in return. This type of sharing from the NCA is a welcome change to that status quo and the quality of the information they share will be of major benefit to the ISPs," he told Infosecurity. "One can only hope that now the ISPs have real actionable information they will work on it to make the internet a safer place for all." In the US, efforts to legislate on such matters have backfired, after rights groups and technology giants came out against the Cybersecurity Information Sharing Act, which was nevertheless passed by the Senate last month. Its opponents argue that the law could introduce major privacy issues and even make it harder for international firms to do business with their US counterparts. Security researchers are warning of a new POS malware strain which has the potential to cause yet more pain for retailers and their customers in the run up to the busy festive season. AbaddonPOS was initially discovered by Proofpoint analysts as it was being downloaded as part of a Vawtrak infection, they wrote in a blog post. Specifically it was delivered via either weaponized Office documents downloading Pony malware or an Angler EK Bedep infection. Downloader TinyLoader was then loaded by Vawtrack to download more shell code—finally triggering AbaddonPOS. AbaddonPOS is only around 5KB in size but has been fitted with anti-analysis and obfuscation techniques to prevent manual and automatic analysis. For example, it uses a CALL instruction to hinder static analysis. Most of the malware’s code is not obfuscated, however, except for the code used to encode and transmit stolen credit card data. It then relies on a custom binary protocol to exfiltrate the stolen data, rather than HTTP. The practice of threat actors to increase their target surfaces by leveraging a single campaign to deliver multiple payloads is by now a well-established practice. While using this technique to deliver point of sale malware is less common, the approach of the US holiday shopping season gives cyber-criminals ample reason to maximize the return on their campaigns by distributing a new, powerful PoS malware that can capture the credit and debit card transactions of holiday shoppers. AbaddonPOS isn’t the only piece of malware set to cause problems for retailers as they prepare for the busy Christmas shopping period. Cherry Picker has been active since 2011 but remained under the radar thanks to its highly covert nature, according to Trustwave. The POS malware apparently cleans itself from an infected system once it has found what it was looking for, using remote software TeamViewer to remove and overwrite files and logs. Email encryption is getting better but certain countries are deliberately preventing SSL requests from initiating, undermining industry efforts, according to a new report from Google. The study, in partnership with the University of Michigan and the University of Illinois, reveals that overall email security is better than it was two years ago. To this end, the number of encrypted emails received by Gmail from non-Gmail senders during the period increased from 33% to 61%. In addition, the percentage of messages encrypted with TLS sent from Gmail to non-Gmail addresses increased from 60% to 80%. And over 94% of inbound messages to Gmail were said to have carried some form of authentication. But there were also causes for concern, as Google wrote in a supporting blog. “First, we found regions of the internet actively preventing message encryption by tampering with requests to initiate SSL connections. To mitigate this attack, we are working closely with partners through the industry association M3AAWG to strengthen ‘opportunistic TLS’ using technologies that we pioneered with Chrome to protect websites against interception. In Tunisia, Iraq, Papua New Guinea, Nepal, Kenya, Uganda and Lesotho, over 20% of emails are delivered without encryption because computers force communication in plain text. In Tunisia the figure is above 96%. This so-called “STARTTLS stripping” happens on over 60% of the 700,000 SMTP servers Google found in the world that are still failing on encryption. The Mountain View giant said that to help notify users of possible dangers, it is looking to roll-out new functionality which will alert them when they receive an email through a non-encrypted connection. Although cybersecurity incidents are daily news, with reports of escalating impacts and costs that are sometimes measured in the billions, at least one survey has identified new reasons for optimism. According to the Global State of Information Security Survey 2016 from PricewaterhouseCoopers (PwC), the vast majority of organizations—91%—have adopted a security framework or, more often, an amalgam of frameworks. The most frequently followed guidelines are ISO 27001, the US National Institute of Standards and Technology (NIST) Cybersecurity Framework and SANS Critical Controls. Respondents say adoption of these types of guidelines enable them to identify and prioritize threats, quickly detect and mitigate risks and understand security gaps. A risk-based framework allows companies to better communicate and collaborate on cybersecurity efforts, internally and externally. These frameworks also can help businesses design, monitor and measure goals toward an improved cybersecurity program. And many say that risk-based standards have helped ensure that sensitive data is more secure. In another extremely positive trend, PwC noted that technology advances can dim the focus on the cybersecurity competencies and training of people. So it is encouraging to find that top security executives and Boards of Directors are playing increasingly prominent roles. This year, 54% of respondents reported they have a CISO in charge of their security program, and 49% have a CSO. Today’s CISO is a business manager who should have expertise not only in security but also risk management, corporate governance and overall business objectives. Also, 46% of survey respondents said their Board participates in information security budgets, which may have contributed to this year’s significant boost in security spending. Other notable outcomes include identification of key risks, helping foster an organizational culture of security and better alignment of information security with overall risk management and business goals. Also, the report noted that 59% of respondents leverage Big Data analytics to model and monitor for cybersecurity threats, respond to incidents, and audit and review data to understand how it is used, by whom and when. This is important, considering that a data-driven approach can shift cybersecurity away from perimeter-based defenses and enable organizations to put real-time information to use in ways that can help predict cybersecurity incidents. Data-driven cybersecurity allows companies to better understand anomalous network activity and more quickly identify and respond to cybersecurity incidents. Some businesses are combining Big Data with existing security information and event management (SIEM) technologies to generate a more extensive view of network activity. Others are exploring the use of data analytics for identity and access management to monitor employee usage patterns, flag outliers and identify improper access. And finally, speaking of data sets, another positive trend is partnering up to sharpen security intelligence. Over the past three years, the number of organizations that embrace external collaboration has steadily increased, the report found. This year, 65% of respondents said they collaborate to improve cybersecurity and reduce cyber-risks, up from 50% in 2013. And those that do work with others cite clear benefits. Most organizations say external collaboration allows them to share and receive more actionable information from industry peers, as well as Information Sharing and Analysis Centers (ISACs), government agencies and law enforcement. Many also say information sharing has improved their threat awareness. A popular mobile app has been pulled from Google Play and the App Store after a researcher warned that it lifted users' names and passwords without their knowledge. Users of InstaAgent have been urged to change their Instagram passwords immediately after the news came to light. The app, which was popular in the UK and downloaded by hundreds of thousands of users, promised to show users who was viewing their profile. But German developer David Layer-Reiss took to Twitter on Tuesday to warn users that the app was stealing their log-in credentials in order to do so. It was also found to be posting ads into users’ accounts. The developer allegedly behind the controversial app, Turker Bayram, has issued an apology in broken English. “Another strange fact is that it is nearly impossible (for me) to identify the developer of InstaAgent (his AppStore dev name was Turker Bayram). And why didn't the #InstaAgent developer sign his statement?” he wrote in a blog post. Rapid7 security research manager, Tod Beardsley, claimed it was unusual that both Google and Apple approved such a dubious looking app. "While the direct motive for the malicious app developer was to spread spam links via hijacked Instagram accounts, he now has a library of about a half a million username and password combinations,” he explained. A civil servant who worked for Newcastle City Council for 15 years has come top of the class at the new SANS Cyber Academy with one of the highest ever scores in the GIAC information security exams. Ross Bradley, who spent the past decade and a half processing parking fines for the local authority, has a bright future ahead of him in the cybersecurity industry after aceing the internationally recognized qualifications. The results are a coup for SANS but also highlight the possibility of finally reducing chronic skills shortages in the industry. The training institute launched what it claimed to be the world’s first ‘cyber boot camp’ back in April with the aim of getting recent graduates up to speed with real world infosecurity skills so they can more easily walk into a paid job. With this in mind, the Cyber Academy compresses two years’ worth of training into just eight weeks, with only 31 “high potential” students chosen from over 25,000 candidates after completing an aptitude test. Bradley and his fellow students completed the GIAC exams with scores which put them in the top 10% worldwide, SANS said. "I was wary of quitting my job and starting the Academy, especially when I saw that people working in forensics and with degrees were going. I thought to myself, ‘I don’t have a degree, I just work for the council’, but I’m glad I went,” said Bradley. Fellow student, Kate Booth, a former university lecturer, praised the academy for offering an alternative way for women to enter what is still a very male-dominated industry. “I was always interested in maths and science when I was at school and my parents gave me a lot of encouragement to do what I was interested in, but we need to do more as a country to support women into cybersecurity,” she explained. Microsoft has been forced to reissue a critical patch first released on Tuesday after users took to the web in numbers to complain it crashed their version of Outlook. MS15-115, which was released in Microsoft’s monthly security update round on 10 November, was designed to fix several vulnerabilities in Windows. However, soon after the updates were released by Microsoft, angry customers took to online forums to complain that it had crashed Outlook. “Today I`ve deployed latest outlook patch to all of my clients, and now Outlook is crashing every 10 minutes and then restarting itself. I tried on fresh Win10, no AV with latest patches applied and here we go, Outlook crashing there too. This is by no means the first time this year Microsoft has got into trouble with users by releasing patches which have subsequently caused problems. And last December it was forced to pull not one but two fixes for similar reasons. Amid growing concerns that internet of things (IoT) devices are inherently vulnerable to attacks that could compromise users’ information privacy and security, the NIST National Strategy for Trusted Identities in Cyberspace (NSTIC) has awarded a $1.86 million grant to build a secure data storage system. Tozny, will serve as the technical lead for the NSTIC pilot program. The team will build a data storage and sharing platform that guarantees security and enables new use cases for collaborative connected devices—with an initial focus on allowing consumers to securely store and share private information across IoT-enabled smart homes and transportation systems. The system will protect the users’ data from being involuntarily shared, while at the same time enabling multiple IoT services and devices to easily collaborate in better serving smart home and connected device users. 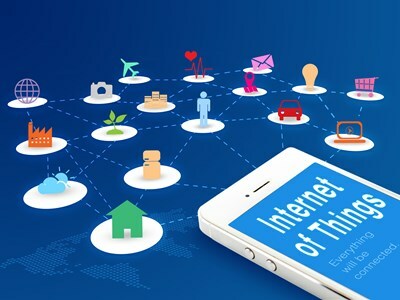 Smart Home IoT Authentication – Due to lack of standards and security expertise, many commodity IoT devices and cloud services have not been designed to be secure, easy to use and interoperable. Furthermore, elements of the system that are authenticated typically use weak passwords for login. IOTAS is already operating a smart-home pilot in apartment units in Portland, Oregon and San Francisco, CA. NSTIC support will allow IOTAS and Tozny to collaborate to add transparent but privacy-preserving authentication and encryption to this pilot. Transit IoT Authentication – Many municipalities are deploying mobile ticketing in their public transit platforms, which allows riders to buy transit tickets on their mobile phone and use the phone itself as the ticket. Password authentication is a barrier for users suffering from password fatigue—particularly acute for mobile devices where inputting sufficiently complex passwords is challenging. NSTIC support will fund collaboration between Tozny and GlobeSherpa to pilot secure, password-free authentication. The 2015 edition of EY’s annual Global Information Security Survey, Creating trust in the digital world, has revealed a corporate world still worried about the latest generation of cyber-attacks. The survey of 1,755 organizations from 67 countries found that 88% do not believe their information security structure fully meets their organization’s needs and that when it comes to IT security budgets, just over two-thirds want their budgets to be increased by up to 50% to align their organization’s need for protection with its management's tolerance for risk. There were a variety of sources of concern for respondents. The most likely sources of cyber-attacks cited were criminal syndicates (59%), hacktivists (54%), and state-sponsored groups (35%) retained their top rankings. However, compared with last year’s survey, respondents rated these sources as more likely: up from 53%, 46%, and 27%, respectively, in 2014. Encouragingly, the survey also found that companies currently feel less vulnerable to attacks arising from unaware employees (44%) and outdated systems (34%); down from 57% and 52%, respectively, than they did a year earlier. However, they feel more threatened today by phishing and malware. 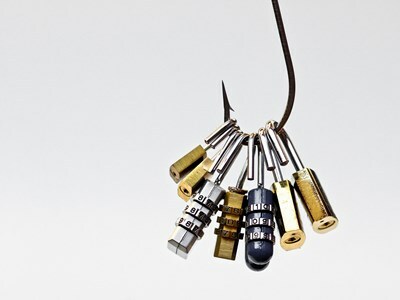 Almost half (44%) of respondents ranked phishing as their top threat—up from 39% in 2014—while 43% consider malware as their biggest threat. The latter figure was 34% in 2014. But such protection was not being felt in general by respondents who felt that organizations were falling short in thwarting a cyber-attack. Just over half (54%) indicated that their firm lacked a dedicated function that focuses on emerging technology and its impact while 47% did not have a security operations center. Slightly more than a third (36%) did not have a threat intelligence program, while 18% did not have an identity and access management program. More than half (57%) said that the contribution and value that the information security function provides to their organization is compromised by the lack of skilled talent available, compared with 53% of respondents in the 2014 survey, indicating that the situation is deteriorating, rather than improving.